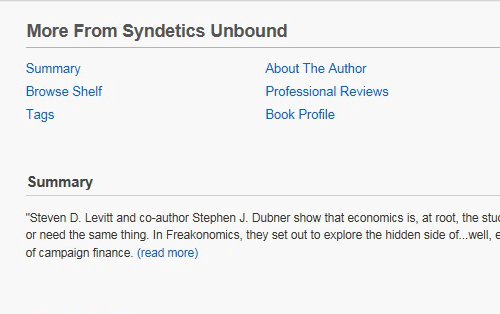 Summon goes beyond delivering known-item search results. 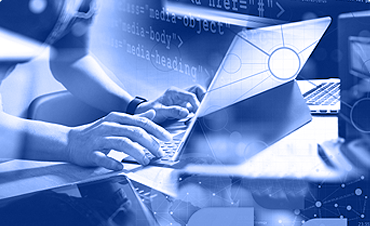 Leveraging big data analytics – consolidating, matching, and correlating data from multiple sources – Summon exposes relationships between resources and further pinpoints relevant materials for discovery. These smart exploration capabilities provide an opportunity to spark new research directions, create fresh encounters with new resources, and enhance knowledge. 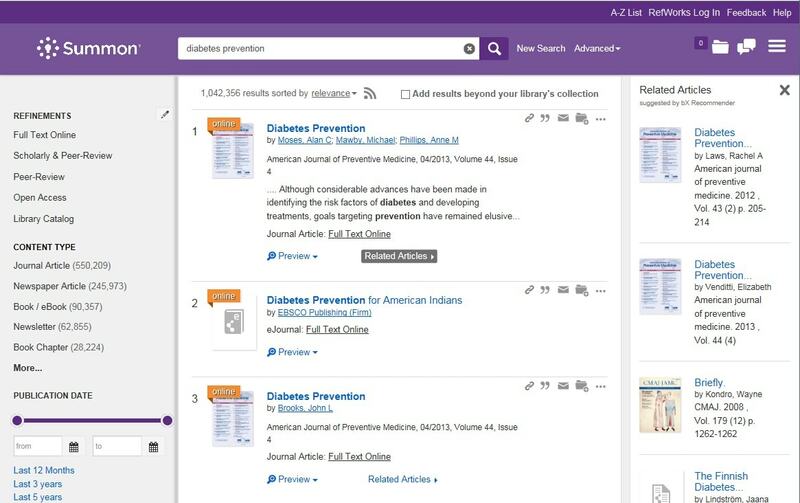 Promote specific library resources such as databases, specialized collections, research guides, course reserves, announcements, current events, library hours, topic experts, and help tools to point patrons to targeted research and discipline-specific information via the context of their queries. 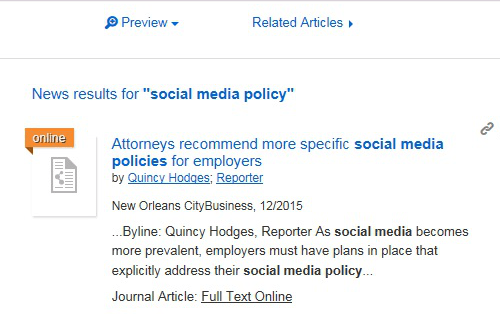 Enable patrons to view articles that are related to an article of interest within the Summon search results. 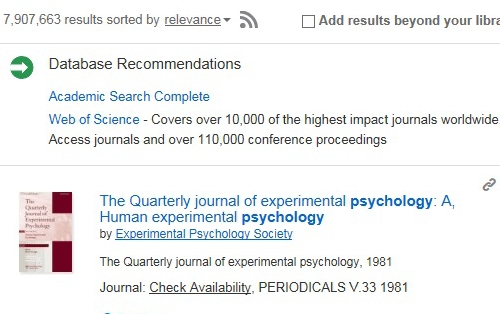 Based on anonymous usage data from millions of scholars around the world, the bX Recommender makes it easy for users to find articles that they may not have found otherwise. 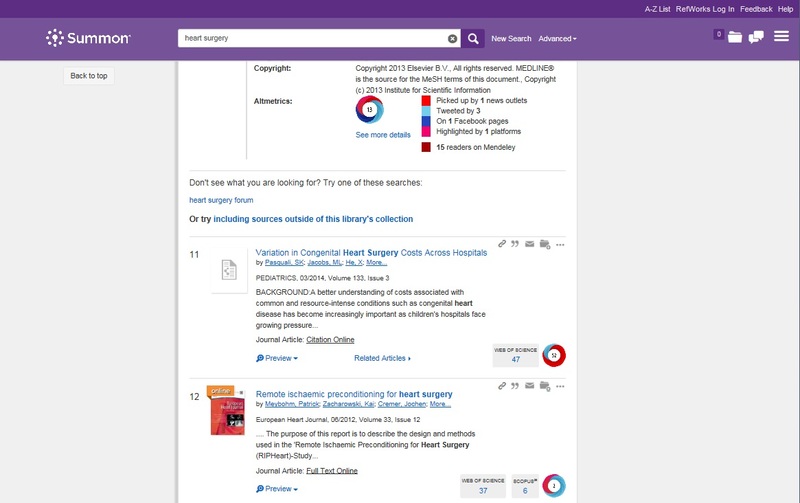 Dynamically highlight particular content types (such as newspapers, images, or items in local collections) and group them together on the Summon search results page. 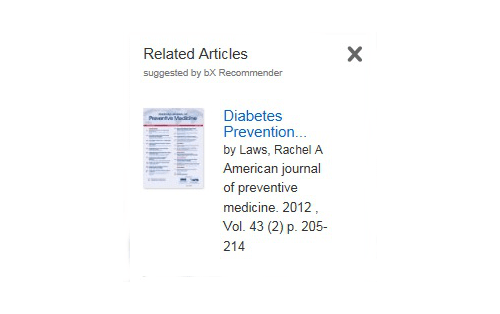 A unique visual style differentiates this grouped content from scholarly journal and book content in the search results, improving identification and interaction. Embed detailed information on the Summon catalog details page to make search results easier to use and more interactive. 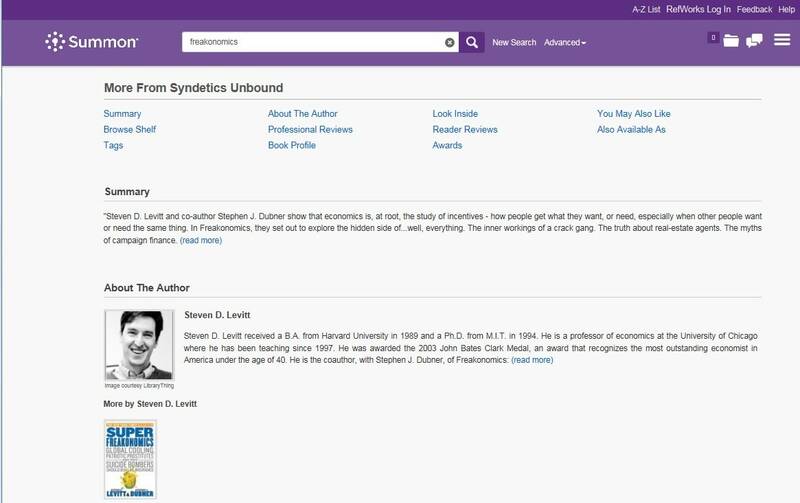 Patrons will be more engaged and can explore dynamically-displayed details of items in your library’s collection. Include title recommendations, author information, look-inside-the-book pages, series information, reviews, awards, and more. 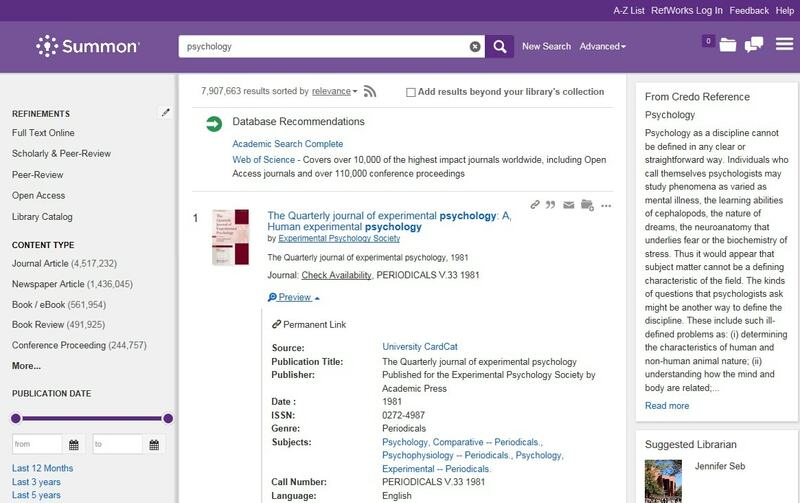 Enable patrons to further find and evaluate valuable resources by viewing metrics and mentions for individual research outputs embedded within Summon search results. 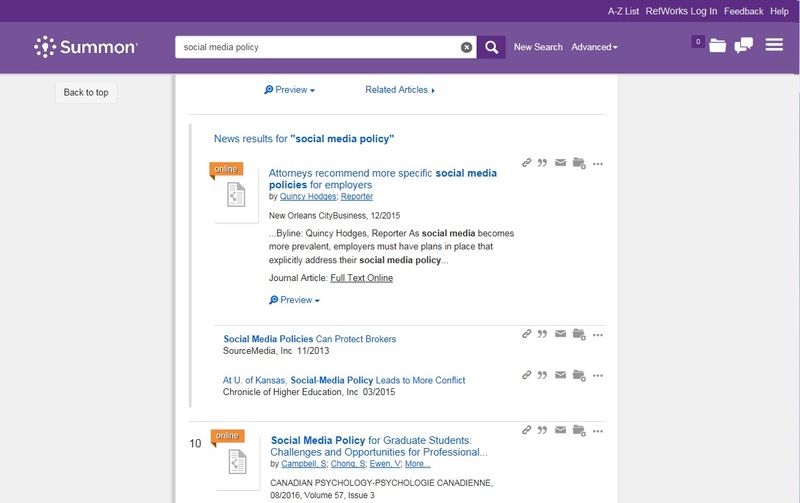 Patrons can view an article’s scholarly impact and its popularity across a variety of platforms, and further explore more detailed information.